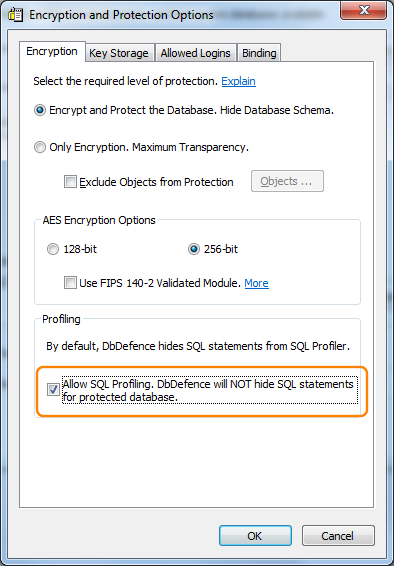 Since version v2.8 DbDefence masks SQL statements issued inside protected databases. It does it in the way that SQL servers mask the security sensitive SQL statements CREATE LOGIN, OPEN MASTER KEY, and so on. DbDefence completely hides statements. This protection works for statements running in the context of the protected database and does not masks statements from unprotected database even if they address a protected database. For example, if your current database is a master database and you do SELECT * from ProtectedDB..ProtectedTable, that statement will be visible because it was issued in the context of the master database.